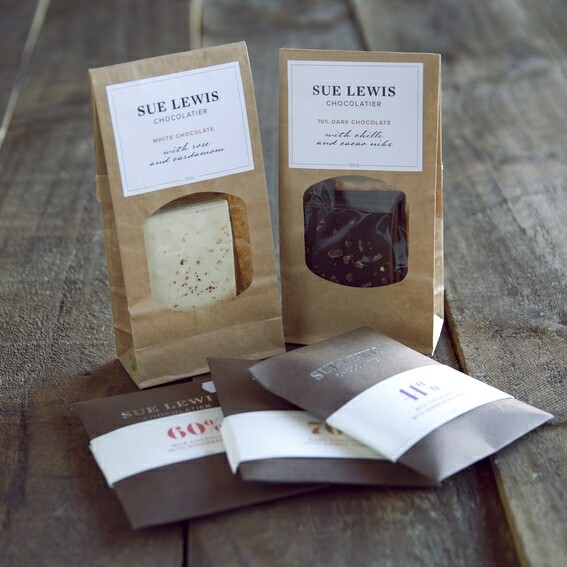 Sue Lewis chocolates are freshly handmade chocolates by Sue herself, using the world’s finest ethically sourced ingredients and local, seasonal, often organic produce. Sue’s chocolate creations are different because they contain no preservatives and are lower in sugar. Everything is made locally in Subiaco which means by buying a Sue Lewis masterpiece, you are supporting local business.